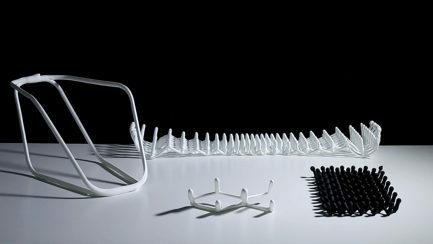 Rapid Liquid Printing is the result of some collaborative research from MIT’’s Self-Assembly Lab, Christophe Guberman and furniture maker Steelcase. 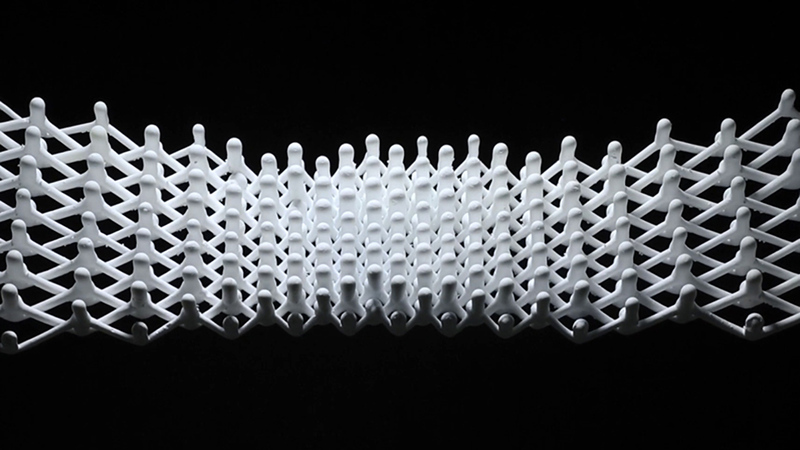 Traditionally 3D printing has had to work on a smaller scale which meant that fabricating larger objects such as furniture parts was harder to do or cost prohibitive. The new technique also allows for full-scale products to be made in a matter of minutes using a variety of industrial-level plastics, foam or rubber. 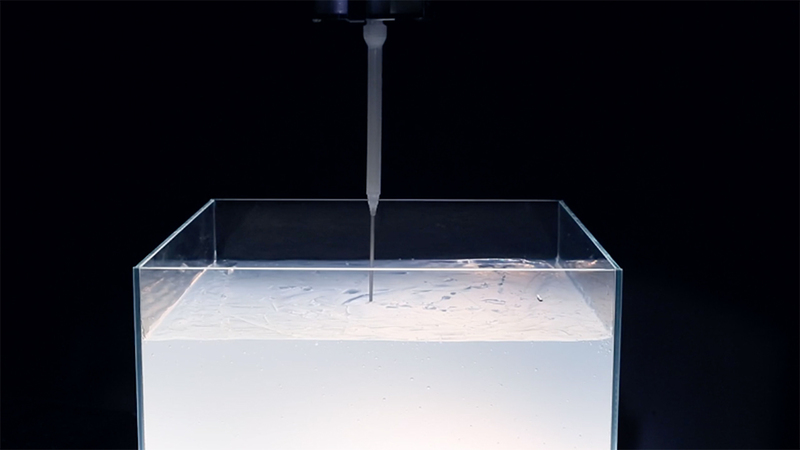 The construction process works by a large syringe releasing the material into a vessel of gel. The material hardens a moment later and is then suspended in the gel which ultimately works as support structure for the object being created. The only restriction for the size of the object being made is the size of the physical container of the range of the printers arm controlling the syringe. 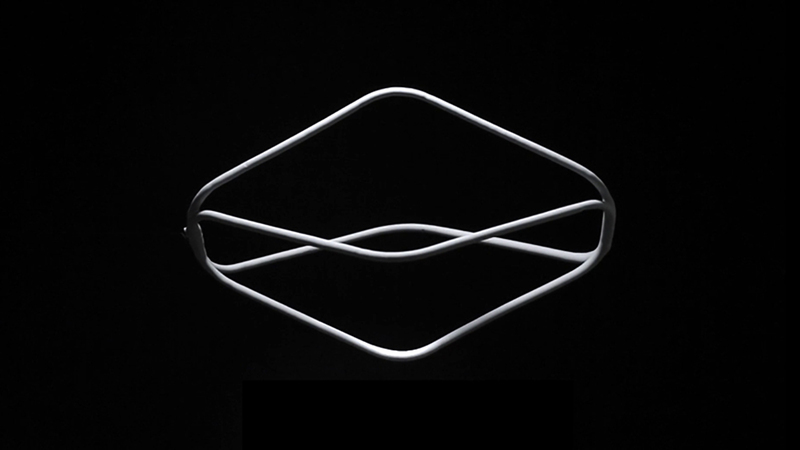 It will be interesting to see how furniture design can evolve as a result of adopting new fabrication techniques.